FORDS: 1959 Fairlane 2-door post, no motor or trans, fair body, $900; 1959 4-door Ranch Wagon, 292, 3-speed overdrive, motor stuck, rusty floors, $900; 1954 coe F6, good body, will run, $1,800. 406-861-3557, MT. Ford 1959 Fairlane 500, excellent condition, auto trans, black exterior, red, black & white interior, 70,000+ miles, this car is all original, never restored, nice, $31,500, negotiable, possible trade for Model A. Ed Langfeldt, 574-936-4622, IN. FORD: 1963 Falcon Futura convertible, 1989 5.0 fuel injected engine and trans, front power disc brakes, deluxe interior with console, excellent paint and chrome, rust-free California car, $14,000 obo. Harry Hawkins, 760-745-8727, CA. 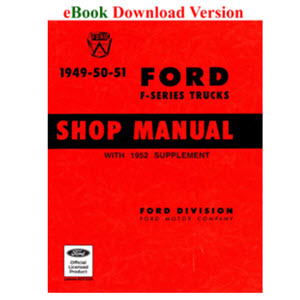 FORDS: 60-64 full-size Fords, project cars, parts, parts cars; inventory always changing, call. 303-822-5640, CO.
FORD: 1960 Falcon 2-dr, 6-cyl, stick, good straight body, some rust in floor, engine runs very well, good title, $1,900. 903-241-6287, Longview, TX. FORD: 1960 Starliner, frame-off restoration, air conditioning, Barrett-Jackson Scottsdale Auction, Tuesday evening, #60.1. FORD: 62 unibody pickup, 292, 4-spd, stored, will run, clear title, manuals, southern California, $500. 951-657-6932, NV. FALCON: 1962 Country Squire 4-door, 6-cyl, auto, wood-grain sides, black with red and white interior, 63K miles, solid southern car needing restoration, $2,950; delivery possible. 540-297-0332, VA.
FORDS: 1963 Galaxie 500XL convertible, $33,900; 1959 Galaxie convertible, $46,900; 1953 convertible, $47,900; 1964 Falcon convertible, $19,900. 419-668-1884, OH. FORD: 1963 Galaxie 500XL convertible project, tiny rust, $8,500 obo. Dave Belke, 970-854-2362, eves please, CO. FORD: 1963 Ranchero, white, pretty complete, decent body, could run, rare, good project, $1,800 obo. Bonney, 541-567-2833, OR. FORDS: 1963 T-Bird, $11,900; 1963 Fairlane, $9,800 1964 Comet, $13,900; 1965 Galaxie convertible, $11,900 1971 Maverick grabber, $4,500; 1964 Fairlane, $4,500 Rancheros, 2 1967s, 1 69, all V8s. 320-296-1104, AZ. FORD: 1963 Falcon 4-door, new blue paint, new |Chrome, automatic. 973-478-1212, NJ. FORD: 1964 Galaxie 2-dr hdtp, red, 352, auto, structurally solid southern car needing restoration, engine will run, $2,350; delivery possible. 540-297-0332, VA.
Ford 1964 Galazie convertible, white exterior, red interior, power steering, 352 ci, bucket seats, auto, 108,000 miles, $20,000, may trade. Keith Shockey, 304-424-6175, WV. FORD: 1964 Fairlane Thunderbolt post, 427/428, 4-spd TL, white, best recreation restoration anywhere, no disappointments, just finished, $55,000, trades. 914-376-6177, NY. FORD: 1964 Galaxie 500 convertible, 1 owner, restored as needed, like new condition, $22,000. 661-822-8037, CA. TORINO: 1970 Cobra, 429-370 matching #s, original California born and raised, bright metallic gold, ginger buckets, factory 4-spd, all original sheetmetal, total correct restoration of a rust-free Cobra, outstanding paint & brightwork, a Ford collector's dream, no disappointments, private owner, $39,000. 607-221-5853, NY. TORINO: 1969 GT 2-dr hdtp, bucket seats, new tires, V8, auto, nice dash and grille, $6,950. 618-635-7056, IL. FORD: 1969 Torino GT convertible, 4-speed, R-code 428 ci Cobra Jet, shaker hood, fully restored, documented, mint, 1 of 26, $74,900. 908-439-2467, NJ. FORD: 1970 Torino Cobra, C-code, 4-speed, yellow, black bench seat interior, no rust, all original panels, comes with matching #s engine, Marti Report, looks, runs and drives great, $23,900. 864-895-4028, SC. FORD: 1976 Elite 2-dr, white with good original tan int, 70K original miles, solid southern body needing paint and vinyl top, $1,950; delivery possible. 540-297-0332, VA. FORD: 1976 Granada/Ghia, 19,000 original miles, 98% pristine, exterior red/red, interior red, 302, a/t, ps, pb, $4,200. 706-788-2939, GA; [email protected] FORD: 1977 Country Squire, 460 engine, leather seats, 4-wheel disc brakes, full power, asking $4,800. 602-2784505, AZ. FORD: 1977 Country Squire wagon, 400 ci, low mileage, garaged, clean, drive home, $5,000. 941-474-4959, FL. FORD: 1977 F150 Custom Stepside, V8, auto, ps, pb, tonneau cover, brown inside and out, new paint and interior, looks good, runs & drives nice, very nice sound truck, $5,950; can arrange delivery. Dan Hayes, 607-739-1538, NY. FORD: 1977 LTD 2-door landau, white with maroon landau top and interior, original, near showroom condition, 103K original miles, drives like new, $4,500. 541784-6369, OR. GRANADAS: 1979 4-door, fully equipped, 6-cyl, auto, air, needs nothing, 1976 4-door, fully equipped, $7,500 for pair. Info: 863-465-1501, FL.